It was in the early 2016 that I was approached to open and lead a branch of the lineage of Master Therion's system A∴A∴ I am part of. ...and, staying true to the Will that is burning in my heart, started to review the established curriculum for the first few steps on the Crowley's A∴A∴ ladder. 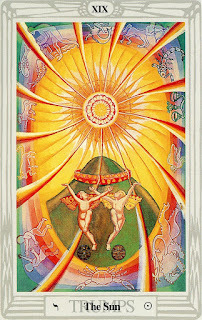 ...and it slowly but surely became quite obvious to my heart that approach to personal and spiritual development that was/is alive in me was not/is not really in harmony with the structure of the Master Therion's vision of the A∴A∴., from the perspective of leading a formal structure for spiritual development. Thelema is and offers so much more! "It should never be forgotten for a single moment that the central and essential work of the Magicians is the attainment of the Knowledge and Conversation of the Holy Guardian Angel. [...] who can be invariably and inevitably relied upon to lead him to the further great step-crossing of the abyss and the attainment of the grade of Master of the Temple. Anything apart from this course is a side issue and unless so regarded may lead to the complete ruin of the whole work of the Magician." So, truth be told, the Crowley's A∴A∴ system, well, it works. It is completely transparent structure, supported by clear texts from various sources. What is really alive in me, however, from moment to moment is Strength, Wisdom, Light, and sheer drive to contribute to spiritual awakening of others NOT by having them follow some structure but by actively ENGAGING THEM in the process of discovering, awakening to and actualizing, their own Freedom or Will as they want (not as some system states). So, system vs life, or following inner aliveness vs following some outside structure. It is said "Do what thou wilt...", not "Do as various systems dictate." It is the old age struggle between authoritarian systems and inner freedom, isn't it (if and when one is able to step out of the establishments). Well, the new Aeon is here, with its focus on personal expression of the Will, not on following others, not even Master Therion himself. He is quite clear on these matters, and he is not alone in this; the Buddha stated something similar, didn't he. 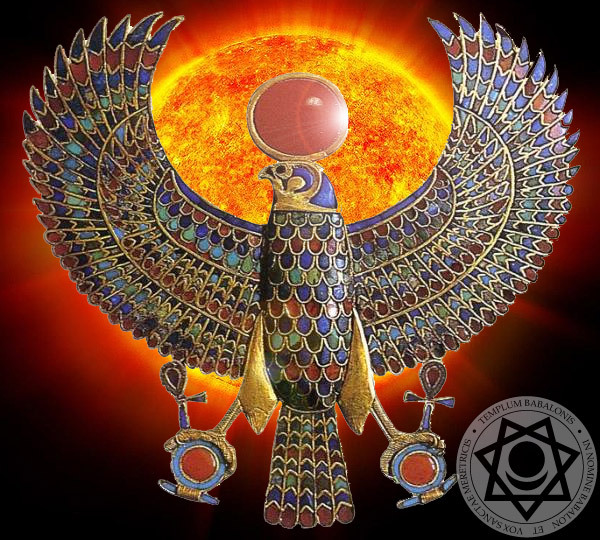 To drive what I want to express in this blog right in, I invite you to take some more time and read the article from the Thelemic Union below. Thoughts shared in it are quite a lot (not completely of course) in harmony with my current perception of the subject under discussion. "…the [A∴A∴] system which was given to me to put forward is only one of many. “Above the Abyss” all these technical wrinkles are ironed out." Crowley wrote that in chapter 9 of Magick Without Tears. Although the context of the statement was a discussion of the Secret Chiefs, the underlying admission is striking. Crowley seems to be saying here, in rather unambiguous language, that the A∴A∴ is not the only viable system for attainment in the New Aeon. In fact, he says there are “many”. "I certainly have no intention of “holding you down” to “a narrow path of work” or any path. […] It does not follow that a plan that I have found successful in my own case will be any use to you. […] Most teachers, consciously or unconsciously, try to get others to follow in their steps. I might as well dress you up in my castoff clothing!" Each of us has a Will of eternal import, necessarily related to everything that exists, and all our conscious desires are so many masks—one fixed expression concealing our infinite variety. 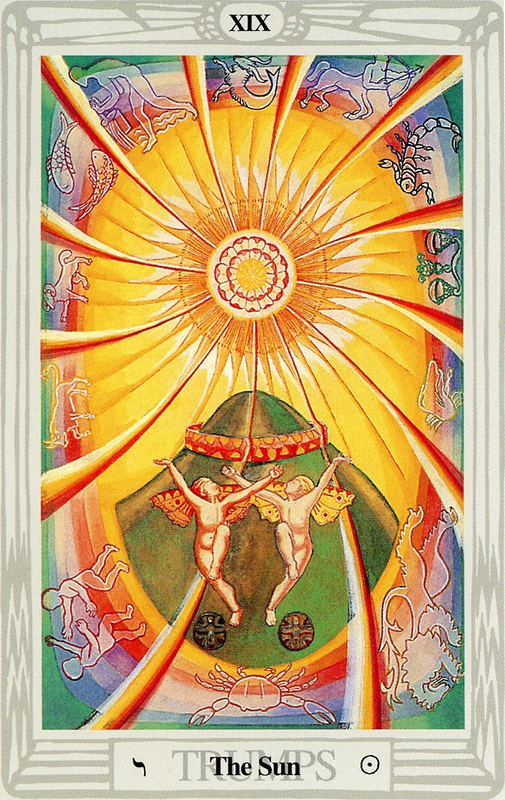 The Grades of A∴A∴ are an abstraction based upon an arbitrary model initiated by Mathers (leader of the Golden Dawn) and later developed by Crowley and George Cecil Jones, largely in relation to a power struggle over the concept of Secret Chiefs and their supposed ability to give spiritual authority. To me, that is all Victorian-era occult-culture gobbledygook. None of that is necessary to legitimize Thelema or to authorize a path of Thelemic attainment. The “New Aeon” is all about the individual and it follows that it is the individual who decides his proper path to Will. Crowley said as much on several occasions. One of the major handicaps of Thelema, in my opinion, is how tightly bound up it is with the A∴A∴. Essentially, for many people, Thelema is the religion of A∴A∴, which can therefore only be understood and practiced within the scope of its teachings. But that seems deeply counterintuitive to the nature of the New Aeon, which is the age of freedom. Yet Thelemites are often expected to conform to the practices and beliefs of this one small and now-splintered organization. This contradiction has hobbled Thelema from growing into the robust catholic religion that it should be…remember, the Law is for all. I utterly deny that the Law “comes from” the A∴A∴—rather, the Law simply is. The A∴A∴ is one organization designed to help people attain to a new formula of enlightenment. But as Crowley suggested above, it is not the only system available. Moreover, it makes all the post-AL “holy books” suspect as being generalizable beyond A∴A∴ work. After all, those documents were written strictly within the mode of that system…but how relevant are they to someone working a non-A∴A∴ system? I won’t go so far as to say they are irrelevant…but I do suggest that it is worth questioning. The goal of the Thelemite is simple—to attain to an awareness of Will and to manifest it in life. If we agree that there exists such a thing, why should it be true that only Crowley’s system is the only one available to reach that goal? In fact, we hear in the above quote that Crowley himself recognized that other systems exist that can bring one into a state of Union between the Self and the All. I have come to believe that how one goes about doing the Work is largely irrelevant (as long as it is effective…gum chewing might theoretically lead to attainment, but there are probably better methods). What matters the most is intent and diligence. Crowley teaches his system because it worked for him. But as he said, “It does not follow that a plan that I have found successful in my own case will be any use to you.” There are many tools at one’s disposal: prayer, ritual, yoga, Qabalah, tarot, dancing, music, art, immersion tanks, hypnosis, and on and on. There are many ways to bypass the conscious mind and make contact with our deeper Self, and so come to an ever-increasing understanding of Will. As long as one keeps this basic goal in mind and keeps at whatever methods are chosen, one will eventually find Success. Article "One System Among Many: On A∴A∴" reposted from FB.